Success comes from having the discipline to stay on the path when everything else around you is changing. Luke grew up in a household that was always on the move, calling the states of Michigan, the Dakotas, Minnesota and Wisconsin home over his formative years. As a result, he and his family shared many adventures during his childhood and they are still very close today. 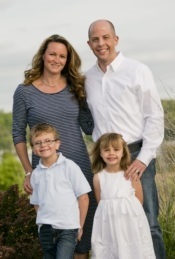 Luke, his wife Becki, and their children, Jackson and Lauren, live in Lake Geneva. 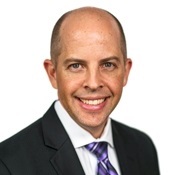 Luke started his financial advisory career with a Capital Markets internship at Solomon Smith Barney in 1997. After graduating from the University of West Florida, he moved back to Wisconsin, taking a job as Financial Advisor with another nationally-known firm. Since 2001, Luke has served as a Financial Advisor for FORM Wealth and maintains his CERTIFIED FINANCIAL PLANNER™ certification. When not working, Luke enjoys spending time outdoors. He is an avid hunter and angler, travelling anywhere from Florida to Alaska in his pursuits. He and his family also enjoy boating, swimming, golfing, and just playing outside. Most important, Luke and his family are enthusiastic fans of the Green Bay Packers, Wisconsin Badgers, and Milwaukee Brewers. Most weekend afternoons in the fall you will find them surrounded by family and food cheering on their teams. Relationships matter. Whether personal or professional, a close relationship has the ability to alter the lives of all involved. Luke prides himself on deepening relationships with clients. It is his belief that in fostering relationships, he can better help clients navigate and react to the critical financial events that occur throughout their life. His principal motivation is in knowing that when he helps you create a sound strategy, he is not only helping you achieve your goals, but also impacting your future generations.